The research ethics e-module training course is officially launched TODAY. 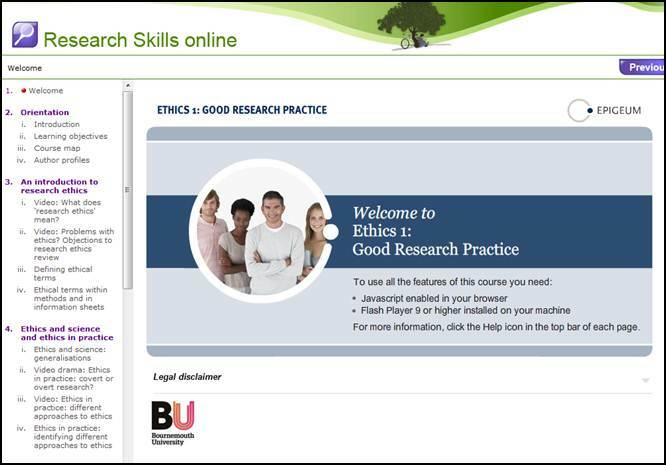 Please login to myBU and click on ‘Research Ethics’ under the ‘My Communities’ tab to begin the e-module. Contact Julia Hastings Taylor with any comments/questions regarding the e-module. If ‘Research Ethics’ is not visible on your myBU homepage, contact Julia Hastings Taylor and she will add you to the participant list. PRGs will be required to complete the course within three months of the start of their first year. This will begin at the start of the 2013/14 academic year. For ease of access, both courses will be available on the Graduate School’s myBU page, which will be available in the coming months.